My brother and sister-in-law have been dreaming of an outdoor space where they could enjoy summer evenings with their two sweet kids for the past few years. They’ve worked hard to create a nice landscape – even added a play area, but they were lacking a space to sit comfortably and watch the kids play. 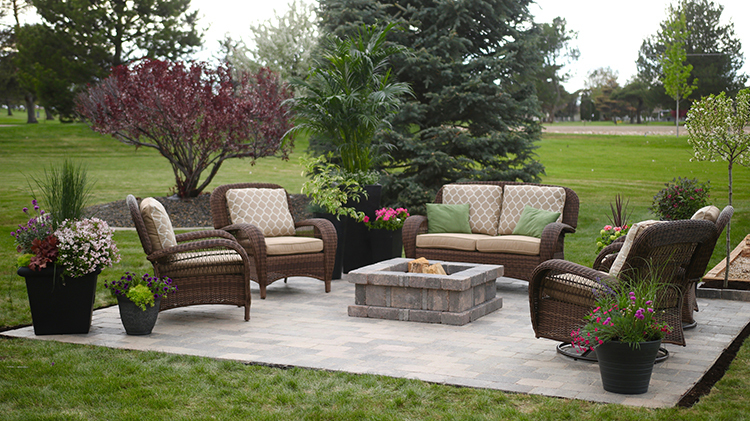 When I came across the RumbleStone collection of pavers and firepit kits, I knew that this would be a perfect fit for them!